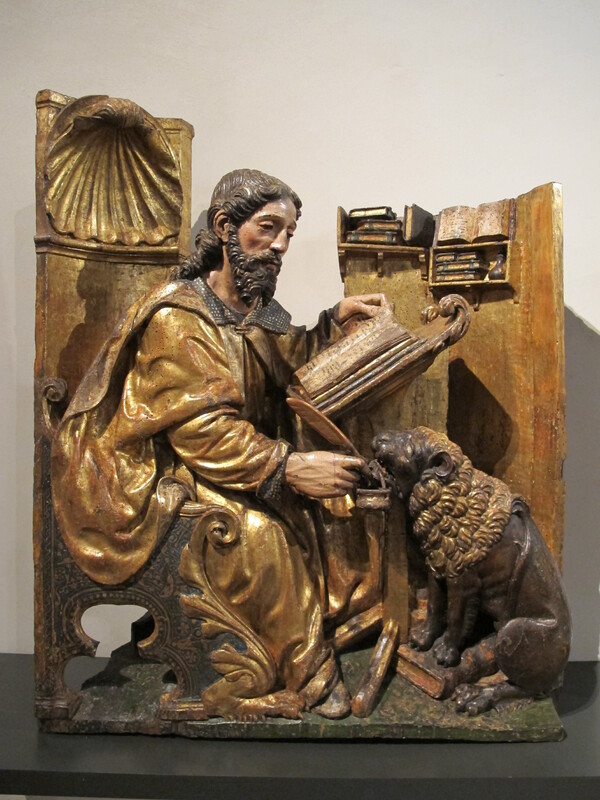 A Monk’s Chronicle: 28 January MMXIX — Thank you, Russell Baker! I lost a good friend last week. Russell Baker was for years a feature writer for The New York Times, and I was saddened to read of his passing. I never met Mr. Baker, but all the same I once decided to write to let him know that he saved my sanity during a summer in Spain. I was in the city of León, doing dissertation research, and for two and a half months I neither heard nor spoke a word of English. Mr. Baker’s column, filled with wit and whimsy and rendered in beautifully-crafted English, was my lifeline to the world I had left behind. León was a bit of a backwater back then, and Americans had not really discovered it yet. Like much of Spain, León was still trying to figure out how to behave in the aftermath of Francisco Franco. In America we had timely announcements from Saturday Night Live, reassuring us that Francisco Franco was still dead. But many in Spain were not so sure. That may explain one thing that unnerved me on my first day in León: copies of Mein Kampf were on sale at a few of the book stalls. I survived my time in León thanks to the hospitality of the nuns of the Benedictine Abbey of Santa María de Carvajal. Their warmth was my haven in an unfamiliar culture, but my guest room did come with a price. First, the nuns locked the front gate at 5 pm. That meant that I could not enjoy the evening paseo that is the custom in Spain. My room also looked out over a small plaza that included a noisy bar. Five nights a week it belted out American country music, a genre for which I had not yet acquired a taste. But two and a half months of it led to a change of heart. After all, it was a touch of home, and I also saw it as the harbinger of change in León. Hitler could never win against country music. By the end of my first week in León I was desperate to speak some English, but it was a full month before I finally spied my chance. Across the plaza mayor was an American couple, and I knew so because of his powder-blue leisure suit and her lime-green pant suit. 100% authentic polyester, if I’m not mistaken. They clutched each other for dear life, while the Leonese stared as if they had come to announce the circus. That was the day when I realized that dignity was more important than my need to speak English. So I walked on by, hoping that everyone would take me for a Leonese. That’s the context for the deep affection that I developed for Russell Baker and his writing. His column appeared in The International Herald, and only one newsstand in León carried it. So early each day I threaded my way through the narrow streets to buy one of its two copies. But one day I was too late, and I came up short. Some tourist must have snapped up the second copy, and I was devastated. It was like losing a friend. 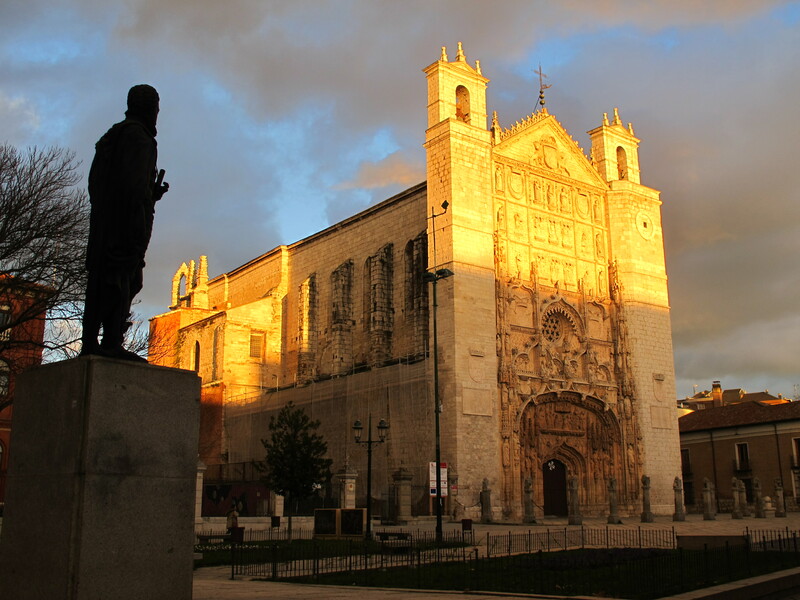 Today León is a lively and beautiful city, due in part to its niche on the revived Camino to Santiago. Tourists and pilgrims now crowd the streets, and the news stalls bulge with an array of lurid magazines that are enough to raise Francisco Franco from the dead. But a copy of Mein Kampf cannot be had. Nor will you see pastel-hued leisure suits. Just as I had foreseen, country music was indeed the death of it all. With news of the passing of Mr. Baker, I must own up to one sin of omission. I should have written him years ago, just as I had intended. I should have told him what a good friend he became to me that summer. I should have told him how I savored all his delicious turns of phrases and delighted whenever he plucked from his memory just the right underused word. He was an artist in words, and he was the consummate gentleman when dealing with people who did not share his views. He was the picture of civility, and with that he was generous to a fault. The latter is one of two takeaways for me. First, it’s never a good idea to trash people with whom I disagree. I’m always amazed to recall that there are still ample supplies of civility and courtesy in storage, so there’s plenty to go around. It does me no good to hoard them, and it’s better to give them away. Second, I should never wait to thank people for their kindness until after they’ve died. By that point it no longer does them much good. On the other hand, it’s never too late for me. Clearly, someone of the stature of Russell Baker didn’t need to hear my thanks all those years ago. But I still feel the need to give them. So here’s to you, Russell Baker! Thank you for being a creative genius with your words. And thanks for an amazing summer together in Spain. +On January 23rd I attended a talk delivered by Zach Vertin, who graduated from Saint John’s University in 2005. Since graduation he has worked in the foreign service and spent considerable time in South Sudan, about which he has written his first book. Today Zach is a lecturer at my alma mater, Princeton University, and he is a fellow at the Brookings Institution. I’m always amazed at the prodigious accomplishment of such youngsters and wonder what in the world they can do for an encore. +On January 26th I was in Atherton, CA, where I gave a morning session to incoming members of the Order of Malta of the Western Association. I spoke on the history of the Order and the development of its mission in the course of 900 years. +Alas, I searched my photo files to find something to show what a lovely city León is, but the cupboard was bare. So I pulled up the file for Valladolid, which is located to the southeast of León. 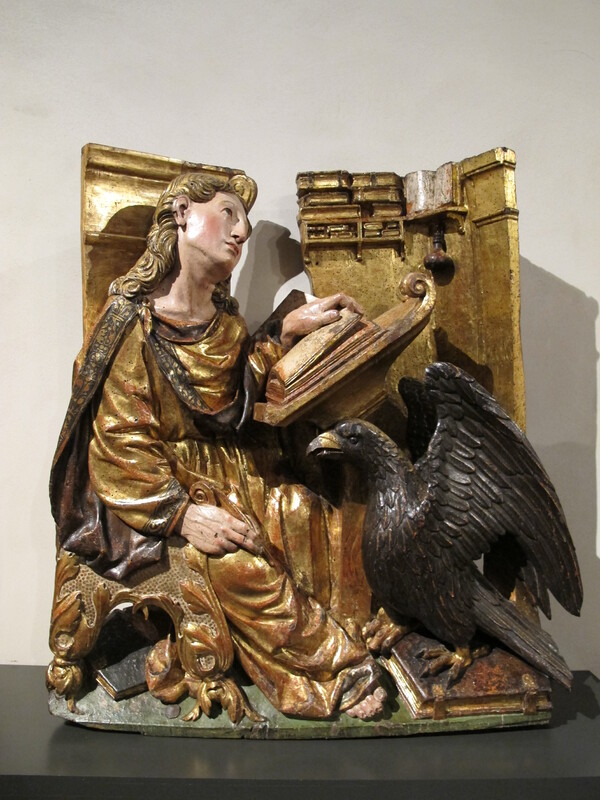 The Museo Nacional de Escultura has some remarkable items, including sculptures of three of the evangelists, sitting at their desks besieged by writer’s block. 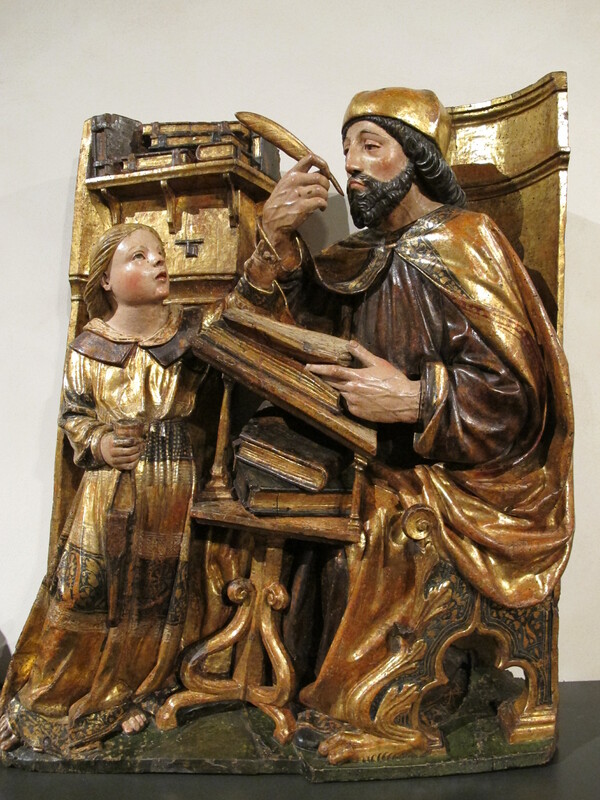 They were carved in the first quarter of the 16th century by Felipe Vigarny (d. 1542). (Click on the photos to savor the fine detail.) 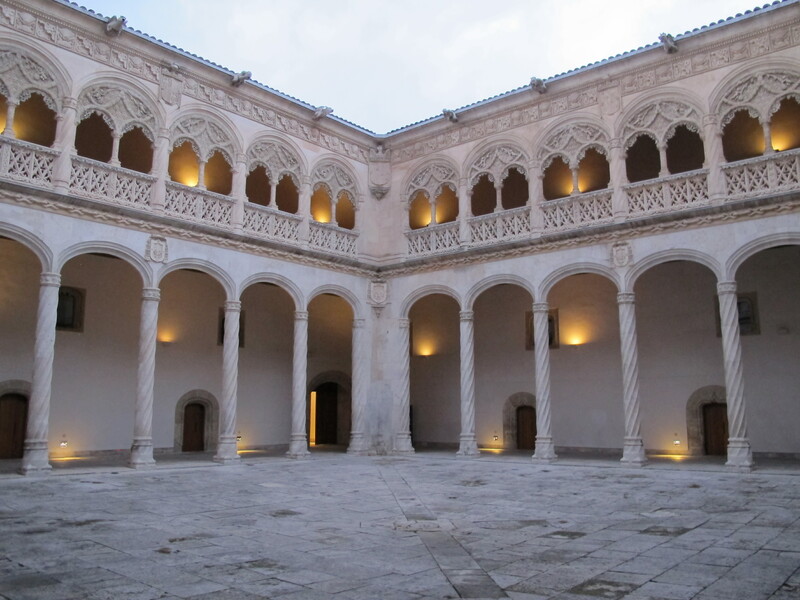 The photos at top and bottom show the façade and the cloister of the Museo, a former monastery.